I’ve had quite a few different IP/Security Cameras from various vendors like D-Link, Foscam, Insteon, etc. going back to my first IP based wifi camera that was an 802.11b DCS1000W from D-Link. The early cameras were for geeks only (like me) and required knowledge of networking protocols like port forwarding and more to get the most out of these first and second generation cameras. IP Cameras are now an integral part of Home Security and the field of DIY Security Camera players has grown considerably. 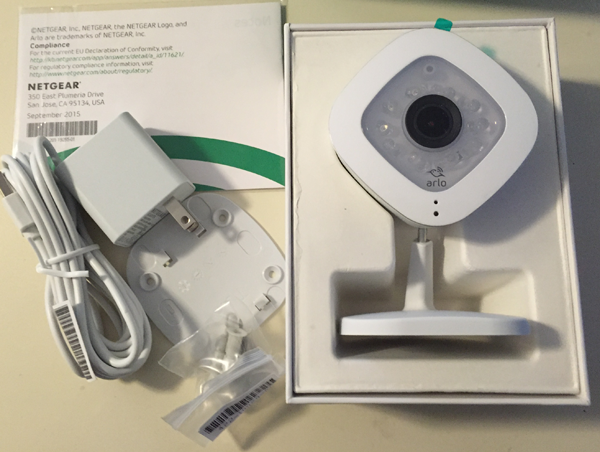 Netgear asked me to take a look at their newest camera, the Arlo Q indoor camera, and provided me with a review sample for this purpose. The TL; DR version of this post is “this is the camera to get”. Like some of the current crop of cameras, the Arlo Q offers 1080p HD streaming, audio and video motion sensing/alerts, but unlike the other contenders for this market, Arlo Q offers FREE event based 7 day cloud video storage (you can buy more and even set up continuous video recording, but 7 days revolving storage for FREE sets it apart from the others). Plan details are at https://community.netgear.com/t5/Arlo-Knowledge-Base/What-are-the-available-Arlo-subscription-plans-and-how-much/ta-p/88 (my opinion is that the Basic Free Plan is great and should be enough for most folks). There are multiple ways to actually mount the camera, including a magnetic base for metal surfaces (the mag mount is strong). A nice long power cord (really a long USB adapter and wall wart plug with USB slot) is included. There’s also a wall mount and mounting screws, etc. included in the box, so there’s lots of flexibility. The heart of my home security system is motion detection and alerts. As I mentioned in the first post, I selected Blue Iris software as a desktop controller. It more than compensates for the shortcomings of the surveillance alert features that are missing from the D-Link camera and for the poor D-Link (free) Windows software supplied with the cameras (D-Cam View). For reasons I don’t understand, the more expensive DCS-942L camera does not have an email motion alert function. The less expensive DCS-932L does, but it is pretty limited. 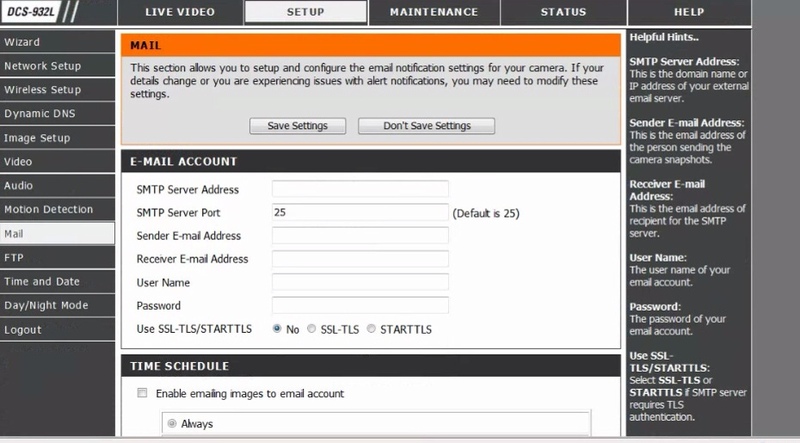 The image above show the D-Link email setup. 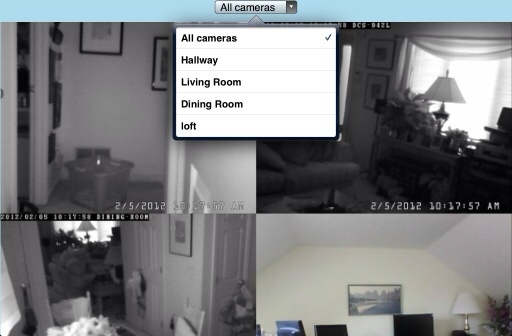 Motivated by the upcoming yearly Halloween onslaught of youngsters and the not so young about to come through my condo complex, I started thinking about how to integrate an Internet capable surveillance camera with my connected home and devices. I’m not a “real” developer, but I’m a pretty smart geek (IMO) and I started looking around for ideas that I could borrow and customize. My goals were to be able to check activity in my parking lot/walkway on demand from Windows Media Center, my iPhone, and my iPad. The web is a wonderful wealth of information, and putting this together was not really difficult. And definitely worth sharing with others.